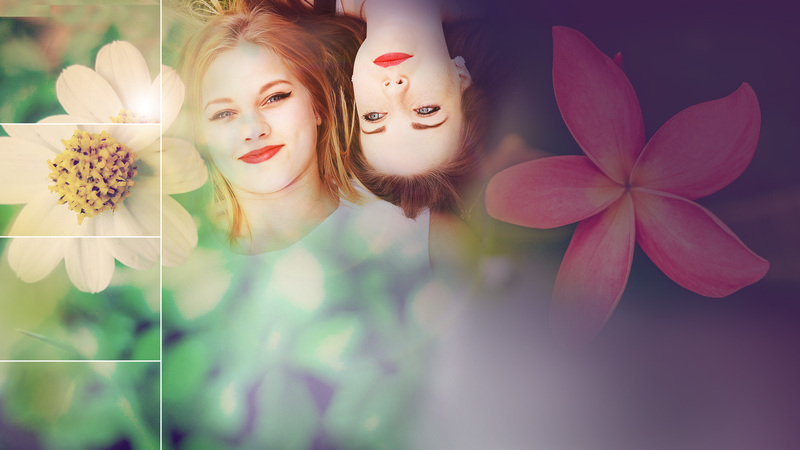 Spring fashion itmes with up to 60% off! It is high time to change the wardrobe. We've chosen the best & most fashionable pieces for spring weather, and they are up to 60%. off! Be sure to hurry, spring is around the corner! This ride will be worth it. Enjoy the great spring weather with a new pair of inline skate, scooter, skateboard or longboard at great prices. Whatever you choose you'll have great spring entertainment. Have you ever wondered what the left shoe would say the right one? What are the relationship between tent and sleeping bag is like? Or how well a tennis ball knows a ball? We know the answer - they are heavily in love and we have been able to listen to their confession. Get inspired by sports strongest bonds. PayPal now available as a payment option! 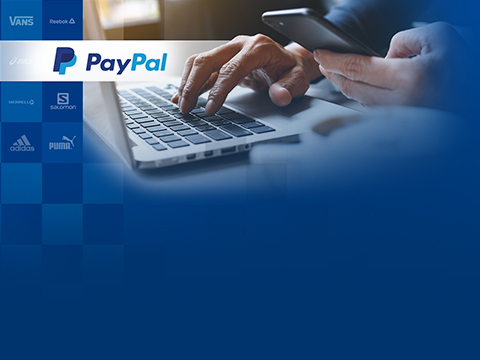 Sportisimo UK/EU is happy to announce that we now accept PayPal as a payment option, you can find this option while checking out to make your purchase. 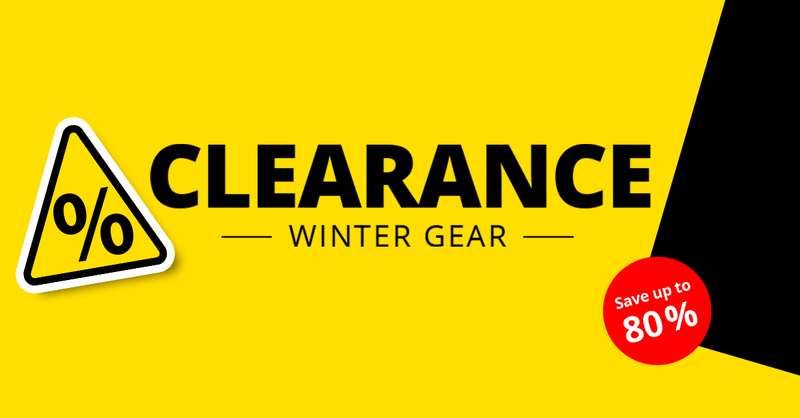 Our Winter Clearance Sale Begins! Grab up to an 80% discount. Our Winter Clearance sale just started! You can expect to find everything at Sportisimo. 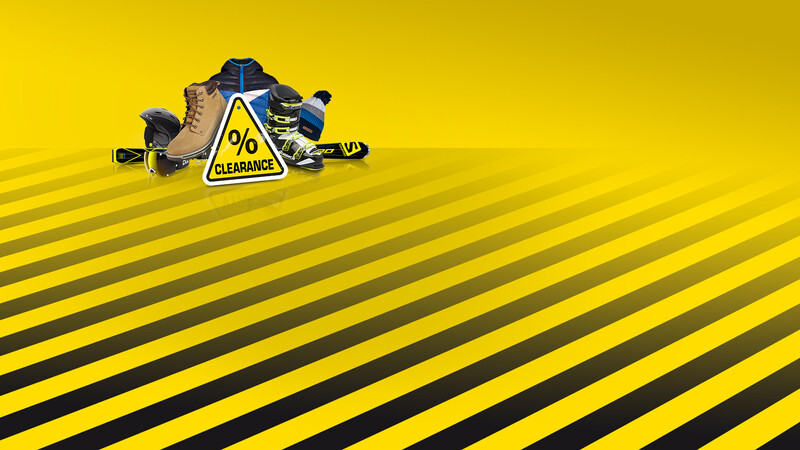 You can order winter clothes or sports equipment with discounts of up to 80% starting Christmas day on the e-shop. Sportisimo and our delivery partners recommend that you order your Christmas gifts no later than December 14, 2018. Orders places beyond this day may not be accommodated by the courier on time. If you are afraid that you’ve misjudged your loved ones tastes or favours, do not worry too much - you can return all the goods from the e-shop by January 10th, 2019. Sportisimo &half; Maraton Prague, this Saturday 7. 4. – watch LIVE on-line! Today we launched a new online shop for our Hungarian customers, you can now shop at http://WWW.SPORTISIMO.HU and continue to have goods delivered to you all over Hungary for 1 199 Ft (Free delivery on orders over 20 000 Ft). 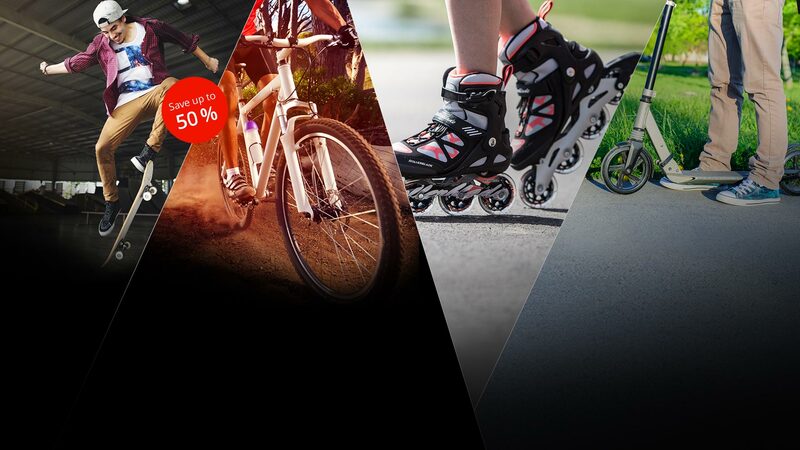 Discover our wide range of sports shoes, clothing and sporting goods at www.sportisimo.hu! It’s our second annual Post-Christmas Clearance Sale, shop now for huge savings on brand-named products from a wide range of product categories. Act quickly as supplies won’t last and we need to make room for our new inventory. 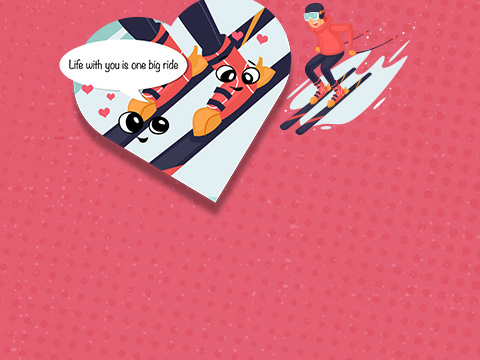 Click here and enjoy the winter to its fullest! Get your Christmas gifts early this year and enjoy the holidays in peace and quiet! Now at Sportisimo we’ve put together an easy to use guide to help you shop fast and find the right Christmas gift for everyone! And remember you can exchange or return goods until the 10th of January, 2018. It’s that time of year again and depending on whether you have a parent’s or child’s perspective, it’s the most wonderful time of year – Back to School!!! Get the kids ready for the walk to school, gym class, or make them the fashion icon of the class with Sportisimo’s wide selection of clothing, shoes, backpacks and more! Today we launch a new online shop for our Austrian customers. From now on, you can easily shop at SPORTISIMO.AT and continue to have goods sent to you all over Austria. Discover our wide range of sports shoes, clothing and sporting goods at www.sportisimo.at! WORLD RECORD set at SPORTISIMO &half; Marathon. And it happened four times! Kenya’s Joyciline Jepkosgei flew through the streets of Prague in a fantastic time of 1:04:52. She broke the half marathon world record by 14 seconds and was the first woman of history came under the time of 65 minutes. World records were also set at her split times at the 10, 15 and 20 km markers. Be sure to show how much you appreciate your colleagues, girlfriends, wives, daughters, sisters, grandmothers or aunts this International Women’s Day. Visit Sportisimo’s International Women’s Day page to send an e-greeting card. Also, if you would like to show your gratitude with a small gift, we have also selected a few perfect items from our catalogue for this very occasion to make it easy for you! 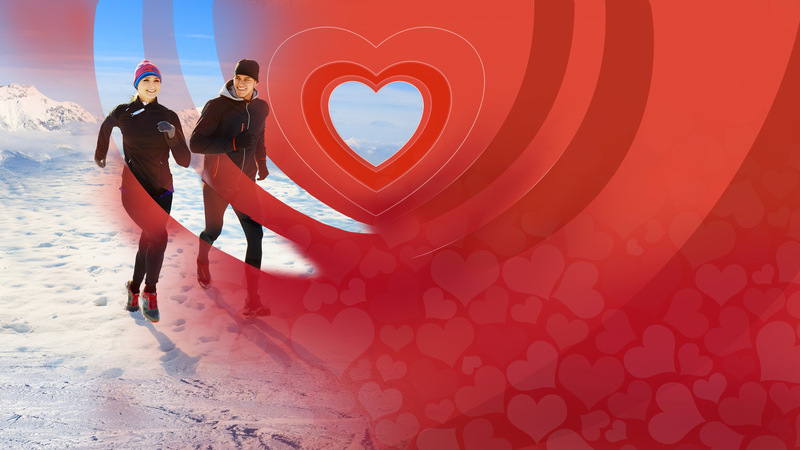 Now at Sportisimo, find the perfect something for that special someone with our Valentine’s Day sale. We have lots of great products at unbeatable prices and we’ve sorted them into His & Hers categories for easy browsing. It’s a great chance to discover a new passion together! Just because Christmas is over doesn’t mean the time for saving has ended. Now at Sportisimo take advantage of our post-Christmas sale on products in our customer’s favorite categories. You can find products for a faction of the price from the world’s Top Brand Names in sporting goods and apparel. Enjoy 5 days of discounts with Sportisimo’s Black Friday sale. 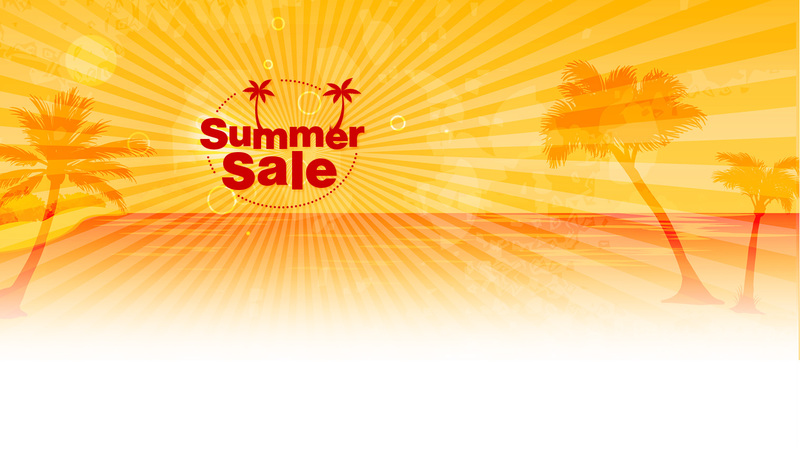 We have selected products with up to 65% off regular retail price. This is the perfect chance to get a head start or finish your Christmas shopping! Christmas shopping with discounts of up to 65%! Why buy your Christmas gifts with us? In addition to the pleasantly low prices, in our Christmas gift section you can choose by who you are shopping for (men, women, and children) or depending on how much you want to spend. And if choose wrong, do not worry: you can return or exchange the goods until the 10th of January. Please be advised that all shipments planned for 17.11.2016 will be delayed by one-day. We kindly ask you consider this information when placing your orders, and we apologize for any inconvenience. Do you work out regularly yet see no results? To help you with the most common training and nutrition mistakes we bring you the top 5 facts and myths about proper circuit training – as well as top quality fitness gear at a great price! Please be advised that all shipments planned for 28.10.2016 will be delayed by one-day. We kindly ask you consider this information when placing your orders, and we apologize for any inconvenience. 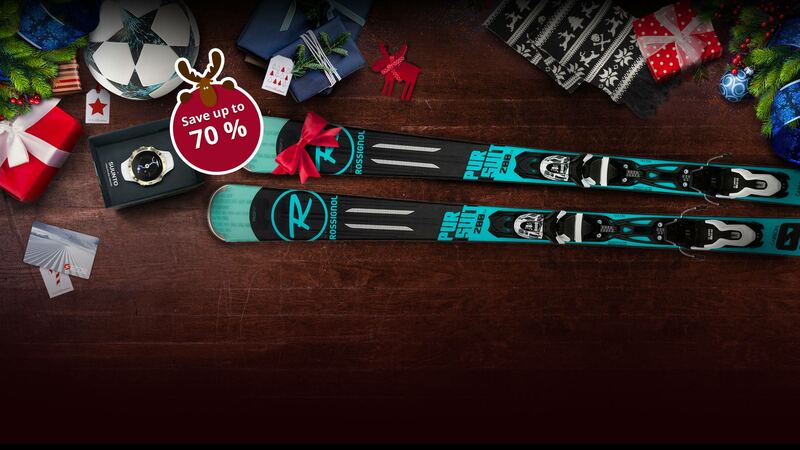 Have you been waiting for the best price on skis and boots? Now’s the time! Before the new winter stock fills our warehouse, we are offering discounts on last year’s items. 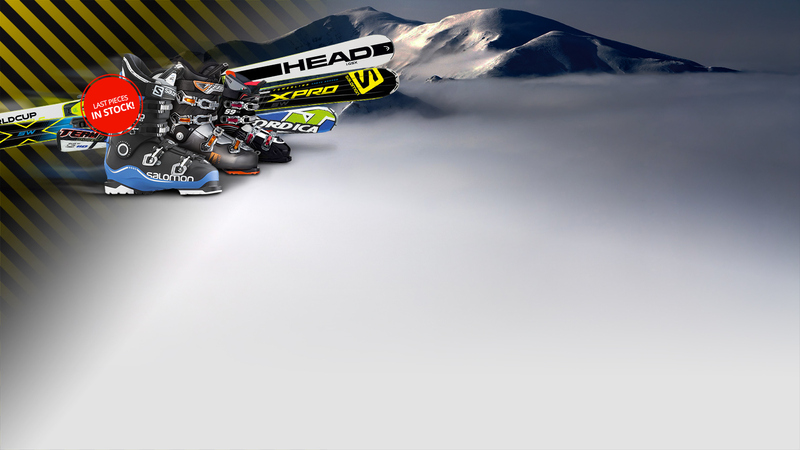 Choose from over 100 skis and ski boots from the best brands at prices that you won’t find anywhere else. Do not wait - the offer is valid only while supplies last. If you love running, autumn shouldn't keep you from training. To keep improving and stay healthy even in colder weather, we've put together a couple of useful tips to keep in mind. Children love moving around, support their sports efforts with high-quality indoor shoes that fulfil all the requirements. High-quality indoor shoes should be comfortable, durable, and not leave any marks. Choose from our wide range of indoor footwear at affordable prices that won’t hurt your wallet. Strengthen your body and soul with yoga! Besides relieving stress, helping with weight loss, and reducing pain, yoga has many more amazing benefits. Proof? 2500 years of tradition and world-wide popularity. You can start right away, we have everything you need in stock! New school year brings sports lessons at school and many sports hobbies. Choose the right sport with your child and let us take care of high-quality equipment that will help your little athlete in their efforts – and you’ll also provide motivation for an even better performance. See for yourself! Our heart beats for tennis! And yours? 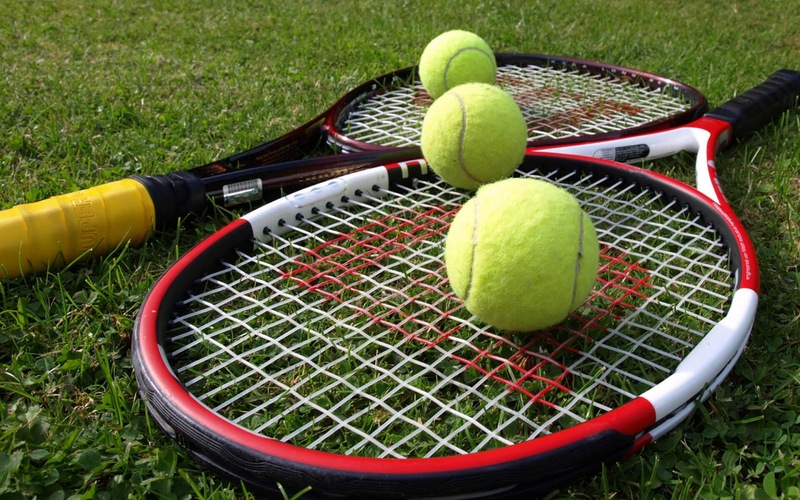 Tennis is one of today’s most popular sports. And getting even more popular – partly thanks to one of the most famous tennis championships, happening right now. Profit from your enthusiasm and improve your performance starting today. Get all your gear on our website – from high-quality shoes and racquets to beautifully designed clothes. Summer is nearing its end but that shouldn’t mean that sports activities are over as well. 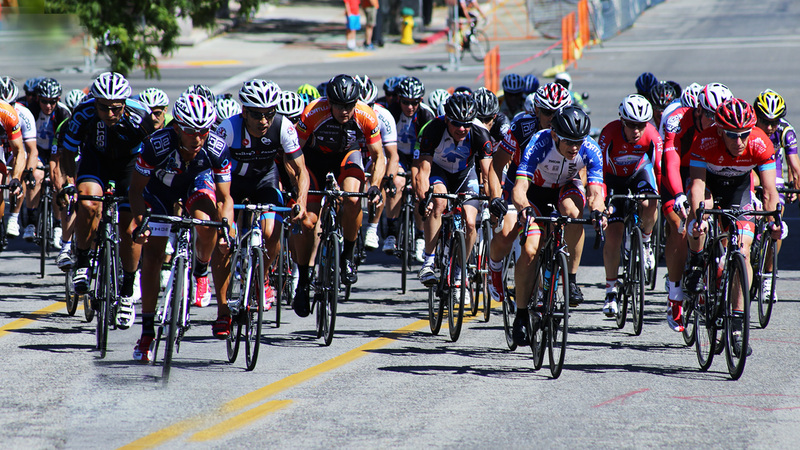 Shop for high-quality cycling equipment on our website and go for a ride. We’ve prepared a selection of everything you’ll need during your trip. You can therefore buy everything in one place, from the comfort of your home. The summer holidays are about to end and the new school year is about to begin. 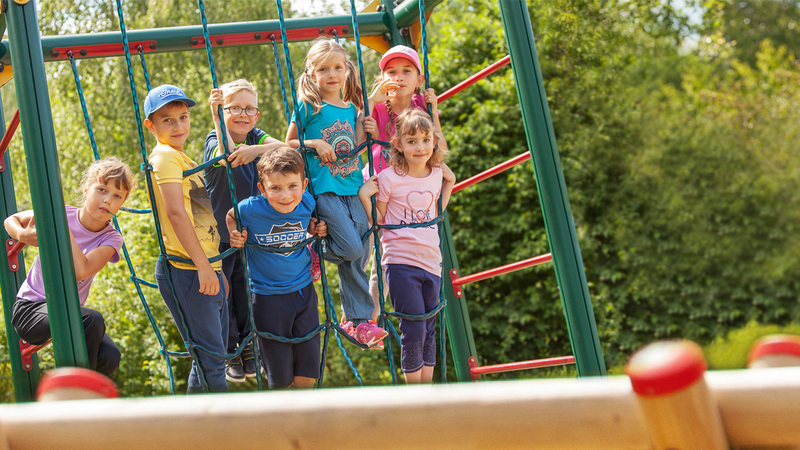 Get your children everything they need on our website – from sports shoes and new clothes to backpacks for all their books. Manufactured by the world’s most renowned brands at a price that’s more than affordable. New adidas Speed of light cleats collection! 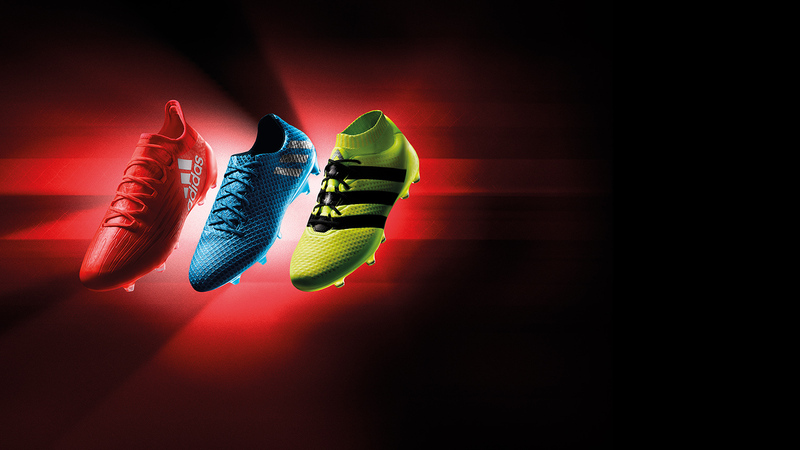 Cleats that will inspire you to victory – the new adidas Speed of light collection! Worn by stars like Lionel Messi, Luis Suárez nebo Paul Pogba. Each of them benefits from one of the collections – MESSI, ACE, X! The perfectly designed, colourful, and lightweight cleats were created to spark the motivation within to be better than your opponents! There’s so much more to do at a beach than just sunbathing! Enjoy an active holiday and relax with sports. Our selection of beach products won’t let you get bored for a second. We hope that you have enjoyed the tournament as well as we have, whether you're cheering at the stadium or by the TV. Congratulations Portugal to victory! The oldest and most famous tennis tournament is over! We’ve been watching the games with great passion and we hope that you, just like us, have actively rooted for your champions on their way to success. Congratulations to the winner Andy Murray to his second victory in this famous tournament! 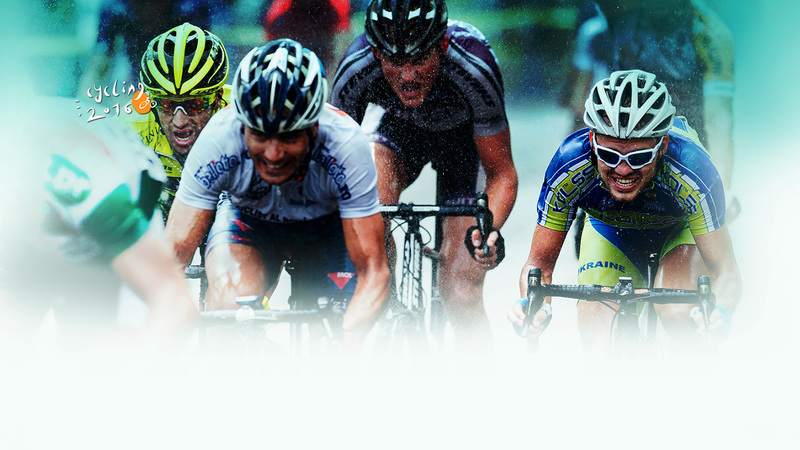 As every July since 1913, the Tour de France multiple stage professional bicycle race is about to begin. Let the cyclists inspire you and enjoy an active summer – we will, of course, provide all the necessary equipment for your cycling holiday. So put your feet on the pedals and let’s go! The Tournament Of All Tournaments Is On! Today marks the start of the 130th edition of the legendary tennis competition and every fan will be spending the following days rooting for their favourite players, either in front of their TV or at the stadium. Let the players inspire you and complete your tennis equipment with the newest gear. 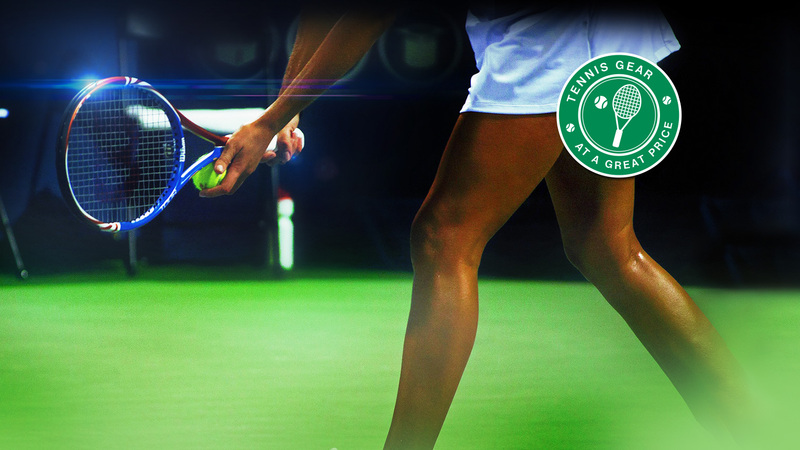 Racquets, clothing, shoes – we have it all! Going for a vacation? We’ve got some interesting tips for you. Our Europe travel guide will give you some inspiration and will make shopping for everything you need to enjoy this summer much easier. Adidas Mercury Pack - New Range! 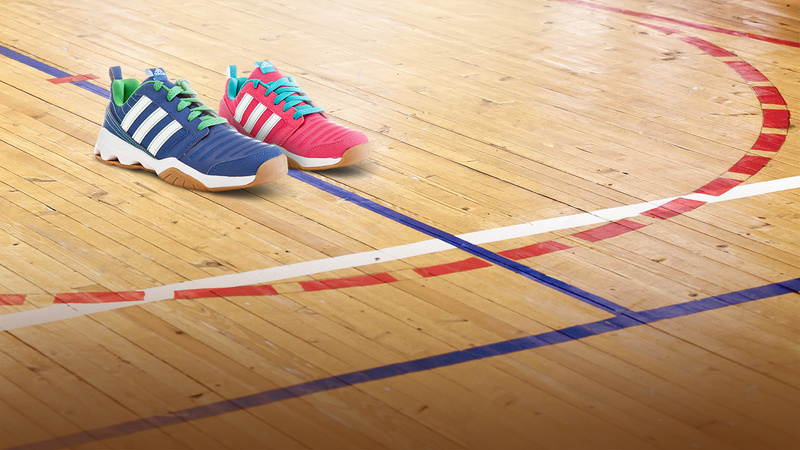 The new adidas Mercury pack range inspires players to victory. Lionel Messi (Messi), Gareth Bale (X), and Paul Pogba (ACE) are among those who will compete at the EURO 2016 and the South American championship Copa America equipped with this new edition. The chrome plated football boots were designed to represent the focus and desire that makes footballers beat their opponents, achieve success, place first, and win all the trophies. Become one of the winners yourself! 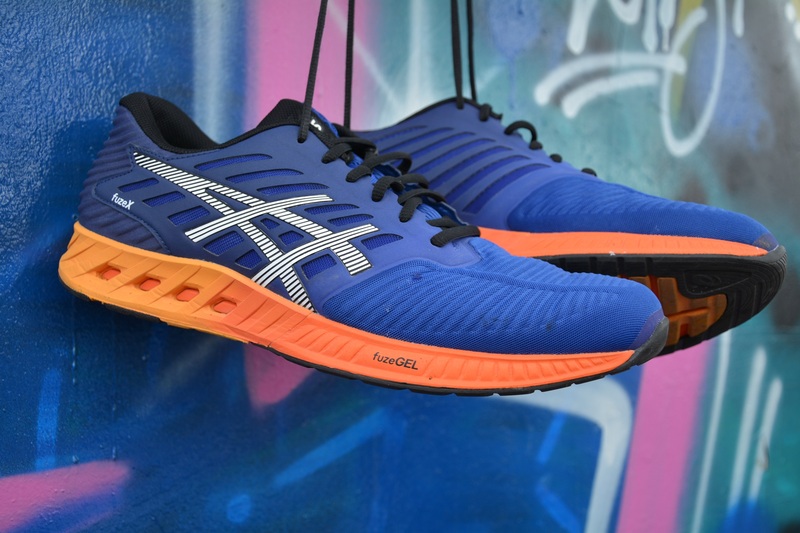 The new Asics FUZE X running shoes are here! Experience a new way of long-distance running in the new Asics FUZE X running shoes. Enjoy every step with these lightweight shoes with integrated FuzeGEL technology which ensures cushioning and extra support. Discover their magic! Looking for a Mother’s Day gift? We have chosen 20 products for ladies to make your decision easier. Check out our Mother's Day offer and say thanks to your Mum with a gift from SPORTISIMO! Walpurgis Night on the 30th of April 2016 – a fiery feast! 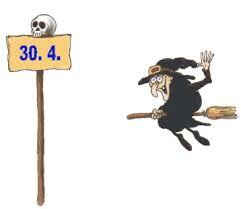 On 30th of April, many people in the Czech Republic, Austria, several German regions, as well as many Nordic countries celebrate the Walpurgis Night. Greet the season of spring with a proper, traditional bonfire! On the eve of May Day, many will celebrate by dancing around bonfires and jumping through them – to cleanse their bodies and drive disease away. Enjoy the fiery magic of this special night! Our manual “Paying by card” will quickly help you solve any problem you may encounter during your payment on our website. Are you having trouble making an online payment for your sporting goods? Use our brief six-step manual “Paying by card” that will quickly help you solve this problem in no time. The new Puma Flare Q2 Filt running shoes are here! Learn more about them. 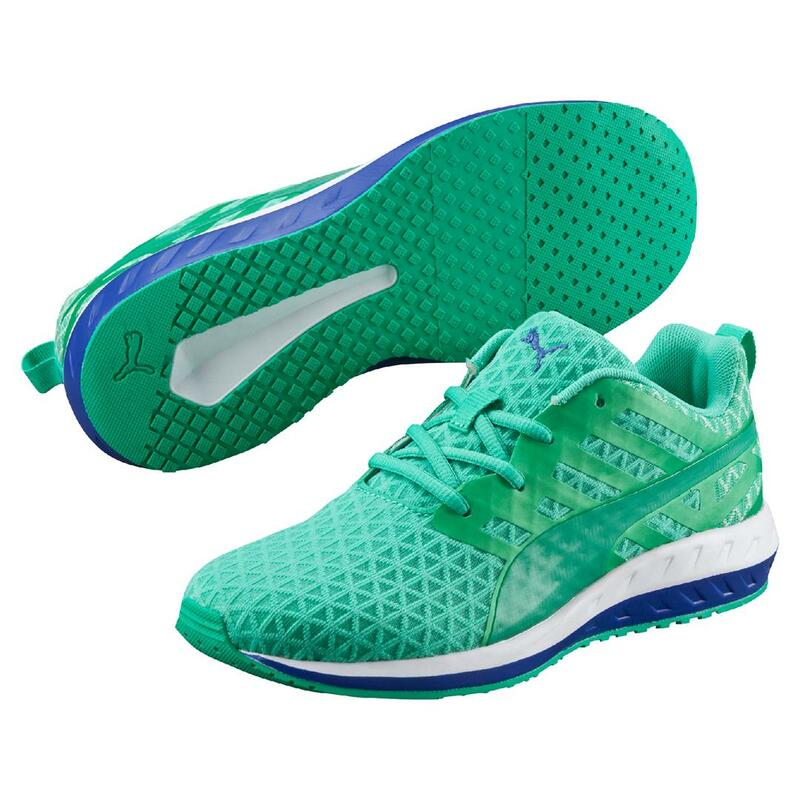 Experience the feeling of comfortable support and cushioning with the Puma Flare Q2 Filt running shoes. Enjoy Easter with Sportisimo and our EASTER DISCOUNTS! We hid 8 discounted products into colourful Easter eggs. Can you find them all? Remember, each day you can find TWO products with a special Easter discount. We are sorry for inconvenience, but during the days 25-28/3/2016 we can’t despatch your orders. 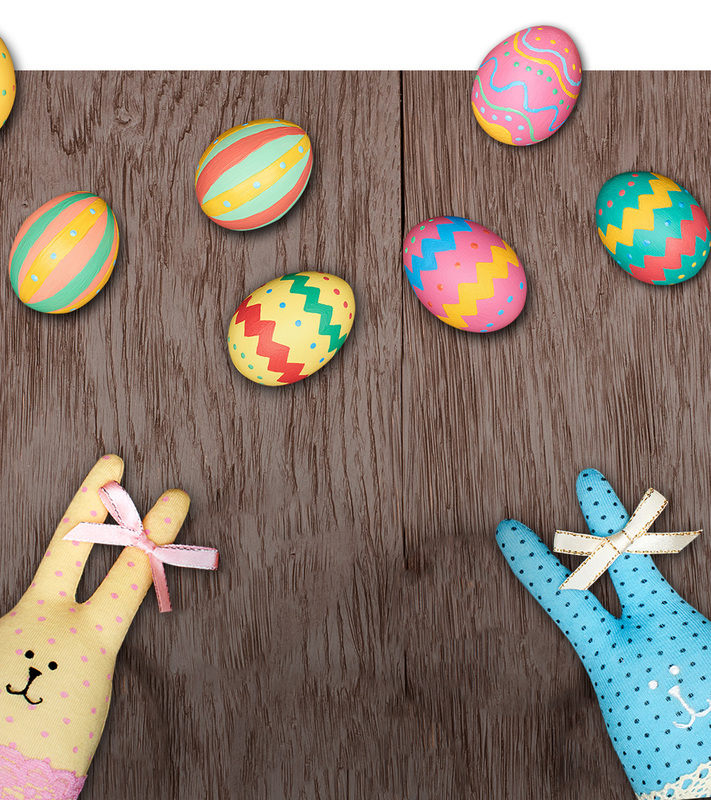 Because of Easter holiday in Czech Republic we won’t be able to ship the orders during the days 25-28/3/2016. We apologize for any caused inconvenience. The new Puma IGNITE ULTIMATE running shoes are here! Do you want to be fast like Usain Bolt? Do you want to experience the highest energy return and the best cushioning possible? All of that is possible with the new Puma IGNITE ULTIMATE. Discover the new Nike LunarTempo 2 running shoes! Meet the next generation of the NIKE LUNARTEMPO 2 running shoes with ultralight Lunarlon cushioning – your every step will be light and soft, and your feet will feel like they’re running on clouds. Try the experience for yourself. For the sixth time, SPORTISIMO has won the prestigious Czech award Merchant of the Year in the category of “Sports Equipment and Apparel Merchant”. The Czech consumers have chosen SPORTISIMO as the winner in the category “Sports Equipment and Apparel Merchant” for the sixth time already. Recognising the best merchants in the categories of food, cosmetics, apparel and footwear, sports equipment and apparel, electronics, house and garden equipment, furniture and home interior accessories, the 13th year of Best Merchant Awards took place from the 16th of November till the 10th of January 2016, with the winners being selected based on internet and text message votes. 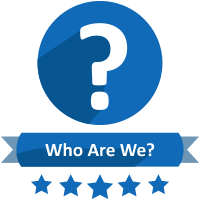 The first place in this poll has once again proven that SPORTISIMO has been able to maintain both popularity and trust among its customers. Meet the new generation of PUMA evoPOWER football boots! 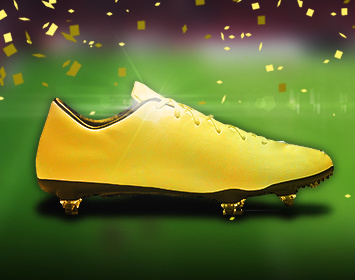 Be like PUMA´S top football players and choose your PUMA evoPOWER football boots. Together we have made it to this year’s finish line and we would like to express our thanks to you! FREE SHIPPING from December 9th – 15th, 2015. 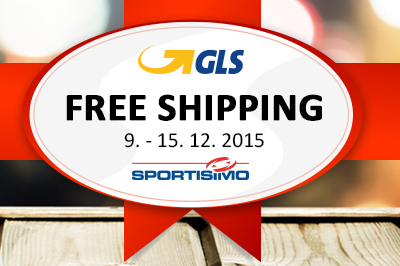 A gift to you for the holidays from GLS and Sportisimo! 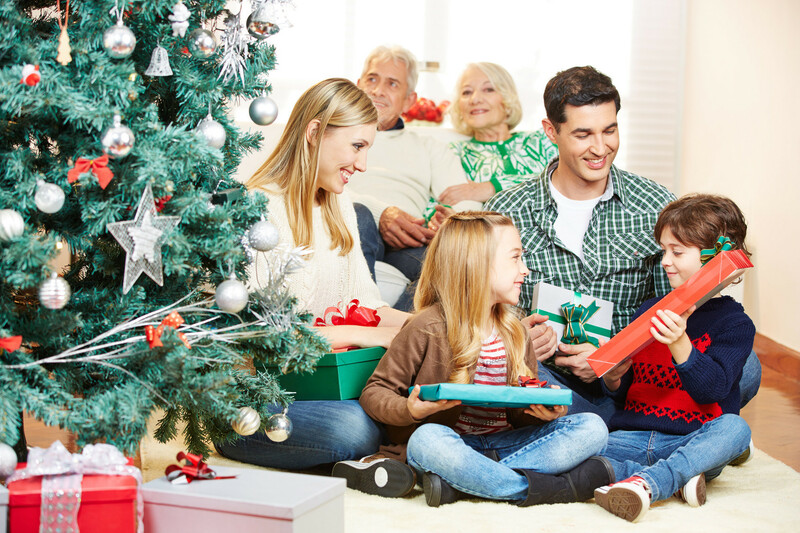 Christmas 2015 - Stress free shopping this holiday season. Returns and exchanges are possible until 10. 1. 2016! Christmas holidays should be about spending quality time with friends and family; building memories that’ll bring smiles to your face for years to come. Preparing for the holidays shouldn’t be any different. In extending our returns and exchange policies for the holiday season, we hope to alleviate the pressure associated with getting the right gifts for your loved ones. All sports apparel and gear purchased through our e-Shop, up until 24. 12. 2015, can be returned or exchanged hassle free until 10. 1. 2016. This policy will apply to all purchases when presented with a valid receipt for the return or exchange of any unused and undamaged merchandise. 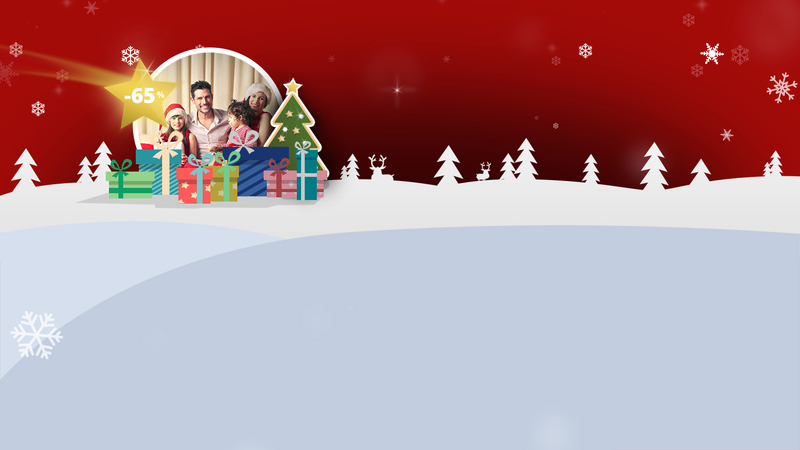 Enjoy the Christmas holidays! Team Sportisimo. 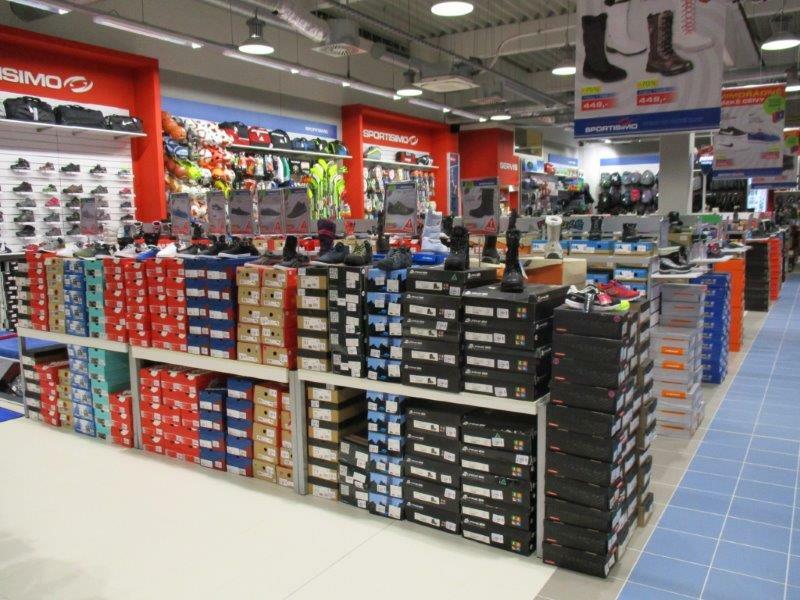 Romania will soon become the fourth EU nation to join the Czech Republic, the Slovak Republic and Poland in becoming a member of the Sportisimo retail family. With this milestone soon to be set, sports enthusiasts in Romania will have the option to experience shopping for sporting goods the way it was meant to be. People of all ages, from enthusiasts to pros, will have the opportunity to choose from brand name apparel and sports equipment to help them fulfil their sporting ambitions and dreams. Each year "Black Friday” marks the official launch of the Christmas shopping season. We’ve joined forces with leading sports equipment and apparel brands to bring you extraordinary savings. Take advantage of spectacular savings now, before they’re gone! 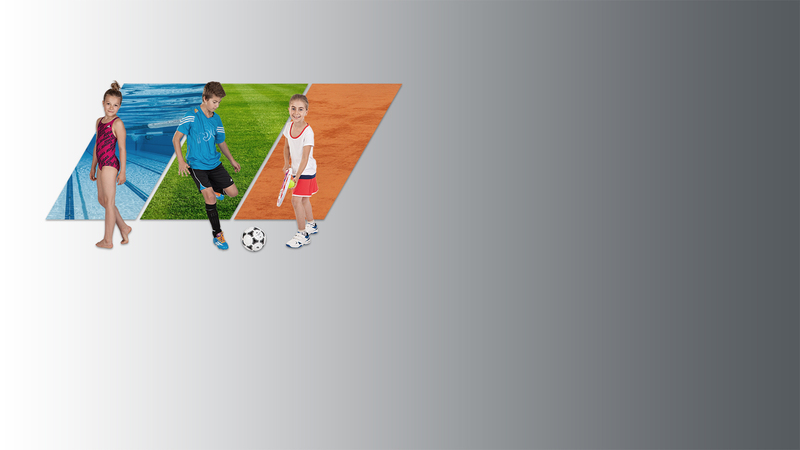 In December 2008, we brought you Sportisimo.cz in an effort to serve you better. 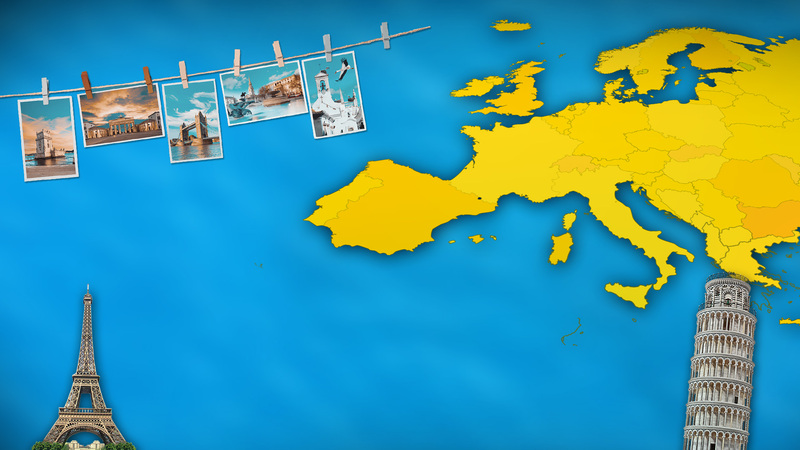 In 2015, we decided to reach out to our neighbours to the North, in the South and from East to West; in total, providing our services to 24 countries within Continental Europe. We’re making it even easier to shop the brands that you’ve grown to rely on and appreciate in the pursuit of your sporting endeavours. Stay tuned for even more news on how we’re improving our services and coming up with better ways to improve your shopping experience. Of course, none of this would be possible without your positive feedback and continued patronage. Thank you. The fourth and final stop on the Grand Slam tennis tour each year has just come to a conclusion. Novak Djokovic and Flavia Pennetta have been crowned Men's and Women's Singles Champions respectively. 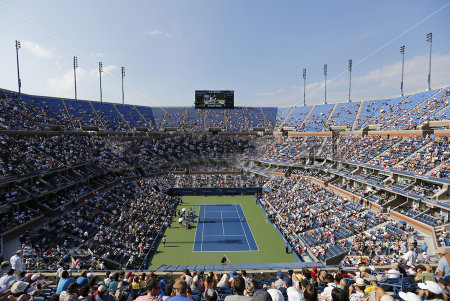 Read more about the history of the U.S. Open, we've gathered some interesting historical facts about the tournament and included them for you to enjoy. You really need to check this one out. The Puma Evo Speed page. You'll find it here. The new LunarGlide 7 Is Here! The Nike LunarGlide is the direct descendant of one of their most celebrated shoe designs of all-time. Now even lighter and boasting greater comfort and stability. Want to stay in the know? Keep up to date with the latest trends in footwear and workout gear by Nike. It's all HERE. Have you heard of the latest football revolution? It's causing chaos! Wimbledon Is Around The Corner. Learn More Here! This year, Wimbledon celebrates its 138th year of hosting the top players in what is known as the most prestigious tennis tournament in the world. Who will hold The Challenge Cup and Rosewater Dish high above their heads this year? If you haven't heard of Sportisimo, please take a few moments to look through our company history. SPORTISIMO is named Retailer of The Year for the fifth consecutive year! In 2015, Sportisimo was awarded the distinction of 'Retailer of The Year' for the fifth consecutive year in the category of top 'Sportswear and sports equipment retailer'. Each year, top retailers from around the Czech Republic are nominated by the voting public to receive this prestigious award. The award is bestowed on the top retailer by MasterCard, and their partners.